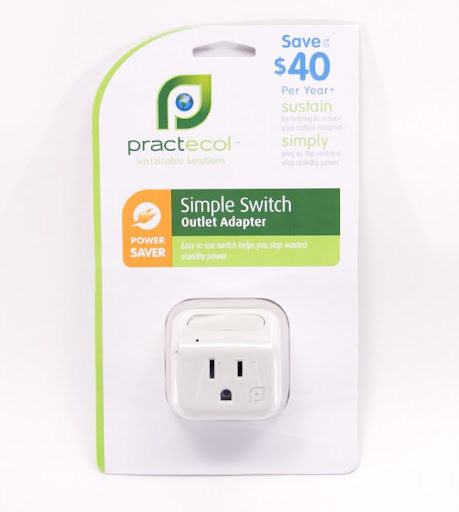 Practecol products are a new collection of energy and money saving devices designed to help you save the planet and be more frugal at the same time -- and the line launches today in Target stores. 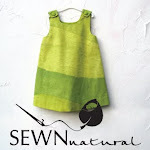 The company sent me a few of their products to test out, and the opinions expressed here are my own. One of my biggest energy zapping pet peeves is the use of "standby power," so their Simple Switch Outlet Adapter is a big hit with me. My husband's iPhone cord is constantly plugged into the wall, (no matter how many times I try to unplug it when not in use), so we plugged this adapter into said socket and now he can easily switch it on and off to charge or save electricity when not charging his phone. I also like Practecol's Motion-Activated Light Socket, which I think will work wonders in our hallway. We're always turning the light on in our dark hallway, and although I am religious about turning it off, some other members of our household aren't! I like that this device can sense motion and then turn itself off four minutes after motion subsides. The only issue I have with this light socket is that I think it should come with a bulb. As of now, you're required to buy a bulb separately. Practecol offers a wide-range of products designed to do everything from help conserve energy in your home to maximizing appliance efficiency, helping to save water, and weather sealing your home. Green attributes: Practecol's product packaging is recyclable, recycled or biodegradable, and the paper used in their packages is made of 80% post-consumer waste and printed with renewable, soy-based inks. All plastic packaging is made from pre-consumer recycled plastic and is 100% recyclable. I like that Practecol is helping to take the guesswork out of energy and water household efficiency by offering easy to use products to eco-conscious consumers.